On today’s episode, we’re going to be talking about chicken keeping hacks. To me, a hack is a handy hint, or something that will help you do things faster or better. It usually involves reusing or re-purposing something that you already have on hand. 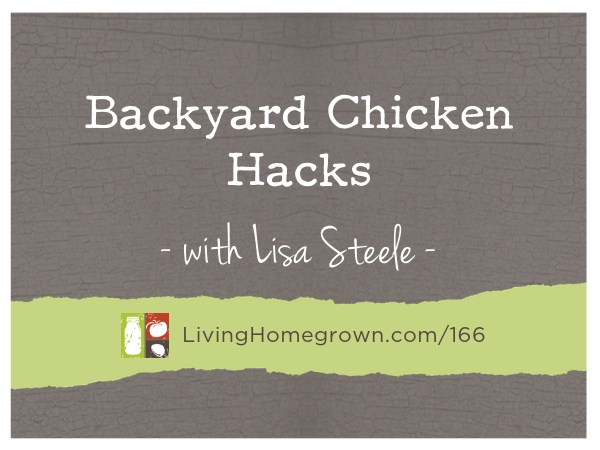 I brought on Lisa Steele from the popular blog Fresh Eggs Daily to share some of her favorite ways to “hack” chicken keeping so you can keep your flock healthy and happy – but with less work from you. 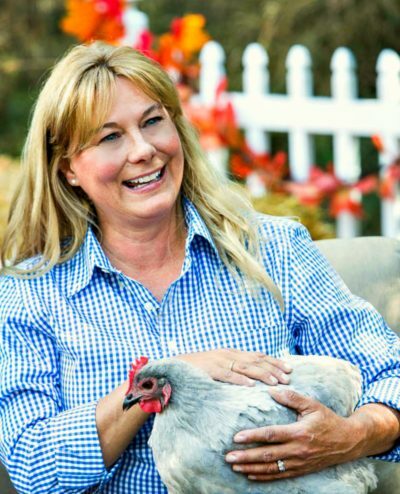 Lisa Steele is a top-selling poultry author, 5th-generation chicken keeper, Maine Master Gardener and avid DIYer. 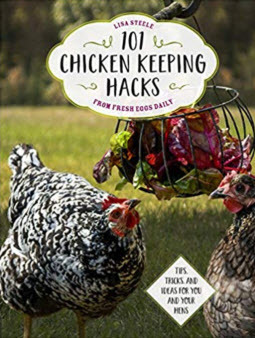 She’s the founder of Fresh Eggs Daily, the popular natural chicken keeping site, and the author of several books including Fresh Eggs Daily, Gardening with Chickens and her latest book 101 Chicken Keeping Hacks. She writes for several publications including Chickens Magazine and Farmers Almanac and has been featured in magazines and newspapers nationwide, including the front page of the Washington Journal. She has also appeared on the Hallmark Home and Family Show and various local morning news shows. From her small farm in Maine, she inspires her readers with her easy, fun and accessible approach to integrating gardening and backyard chickens for a more productive flock and more bountiful harvest using fresh herbs, edible flowers and up-cycled and re-purposed items around the coop, home, and garden. She tours the country giving talks and seminars of natural chicken keeping and recently launched her own private label line of poultry feed supplements under the Fresh Eggs Daily® brand. Lisa shared her homemade scratch mix recipe with us!